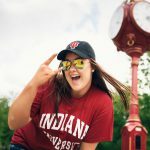 Beginning your journey at IU can be scary. You just left the only family you’ve ever known to embark on a journey that will be (hopefully) full of amazing memories, newfound knowledge, and an amazing four years of college. 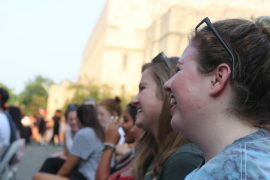 Leaving my family at home was kinda tough, but I was in search of a new family and I found that in IUDM. 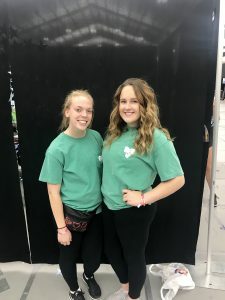 IUDM is the Indiana University Dance Marathon, which raises money for the children at Riley Hospital for Children in Indianapolis. After you raise the initial required $500, you attend the notorious dance marathon. This marathon is so fun in so many ways. This year I raised $700 FTK (For The Kids)! When at the marathon, it is so exciting to see all the Riley families and Riley kids and get to hear real stories about how Riley has had an amazing effect on their lives. You get to play games with the kids and color with them—there’s even a rave during IUDM! They feed you pizza and give you water and, although it is tiring, there is nothing like seeing the total amount at the end. This was my favorite part for a multitude of reasons. 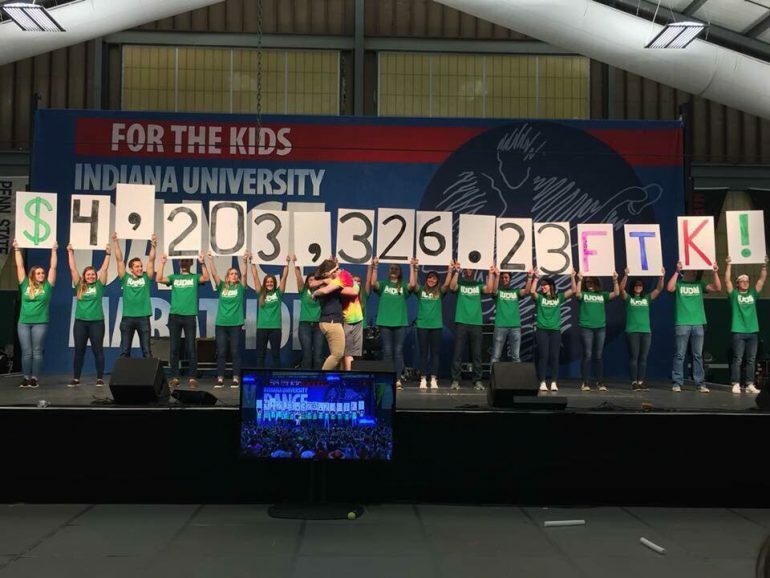 Standing next to my team (RHARC, the residence hall team) and seeing the total that I helped raised was so heartwarming and made me even closer with my IUDM family. I will never forget the memories made or the feeling of dancing for those who can’t for 12 consecutive hours. IUDM will always be my family and I will always be grateful for everything that Riley and IUDM do FTK! Two of my friends and me during the rave portion of the marathon, one of the best parts! IUDM is family for me for a lot of reasons. You raise money with a group of people that become some of your closest friends and eventually your family. 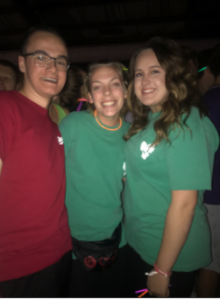 One of IUDM’s famous sayings at IU is “Founded in Family.” When anyone asks me now if they should do IUDM I always say, “If you want a newfound family and a group of people you can rely on for anything, do it. If you want a reason to wake up at 6 a.m. and hold buckets outside of a store to raise money FTK, do it. If you want to be part of something greater than yourself and raise money for an amazing cause, staying up from 7 p.m. to 9 a.m. FTK, do it.” I encourage anyone who is undecided to go for it, for yourself, for Riley, and for the kids!